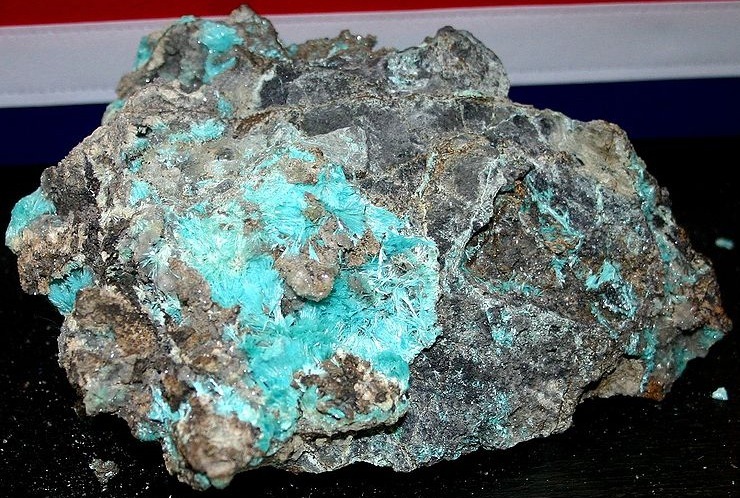 The mineral aurichalcite is named after the fabled and mysterious Orichalcum of Atlantean legend, though whether it has any actual connection to the ancient mineral described by Plato, is not known and is now thought quite unlikely. Orichalcum was described by Plato in Critias, his legendary description of Atlantis, and the Greek word originally meant "mountain copper", "mountain brass" or "mountain metal". 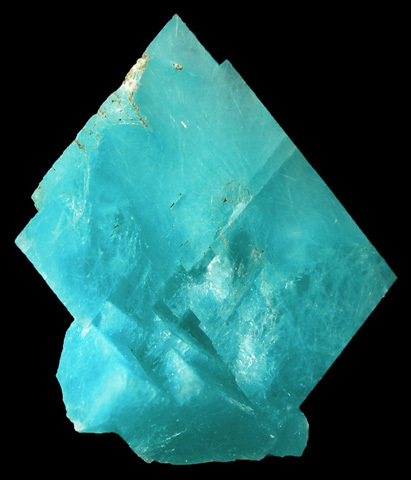 intergrowths of Aurichalcite. 2cm across. 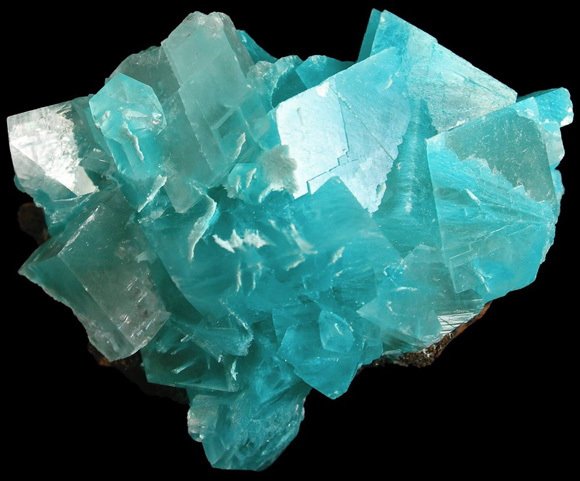 Calcite rhombs colored blue by fibrous intergrowths of Aurichalcite. 5cm across.